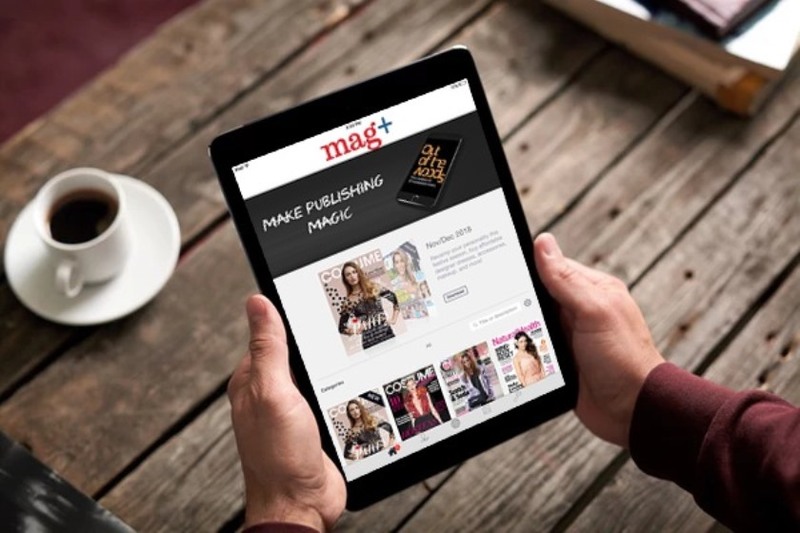 mag+ in-app banners are large-sized graphics that span over the width of the device screen. They can be of any height and can be clicked to trigger web links, issue previews or subscription purchases. Being a “live” mag+ feature, one can customize them on-the-fly, with a simple upload on the backend, without updating or submitting a new app. Not restricted to a single banner, app publishers have the option to add multiple banners and select the banner display time. Here are eight ideas for using in-app banners. If you have a subscription for sale, it’s a good idea to attract audience via banners. Create a big, splashy ad for your subscriptions and leverage it as a banner on the home screen. Run weeklong campaigns with new creatives and track your results to optimize your marketing strategy. If you want people to download or read the latest issue, don’t just show the front cover, give them a tease of what’s inside: a great photo, a compelling quote, or anything that conveys the message. Link this banner to that issue so that a preview appears on tapping. Since banners are live and can be tapped to trigger a web view, you can upload simple headlines every day and link them back to the full story on your web site. It’s a great way to deliver more timely value in the app and it’ll take just a few minutes each day. Ads don’t have to be confined to the issues. Why not let an advertiser sponsor the app and sell them the banner space? Clicking a link will simply take the users to their site and once their campaign ends, you can quickly change the link. You should be constantly soliciting feedback from your users in every possible way. So, create a simple survey and link it to the banner. The more channels you give customers to complain or just ask questions, the less likely they are to leave negative reviews in the app stores. Link a banner to your support email so people can just tap and send you a note. Use the banner space for a simple Help page, showing just the basic steps to help the user get started. Then link to either the in-app help button or just an FAQ out on your site. If you run any kind of brand where users generate content, let them submit items for the banner. If you’re a travel magazine, have them send in travel photos. Food mag? Dishes, with links to recipes. Do you have a Q&A section? Let them send questions and you can link to the answers on your site.